Today, on Tell Me a Story, we welcome one busy lady. Yecheilyah (e-see-lee-yah) Ysrayl is the owner and founder of Literary Korner Publishing and has written eight books to date going back to 2010. A poet, book reviewer, and blogger, she is most noted for her Stella Trilogy, a historical fiction series about a woman named Stella and her family's search for acceptance and racial identity. 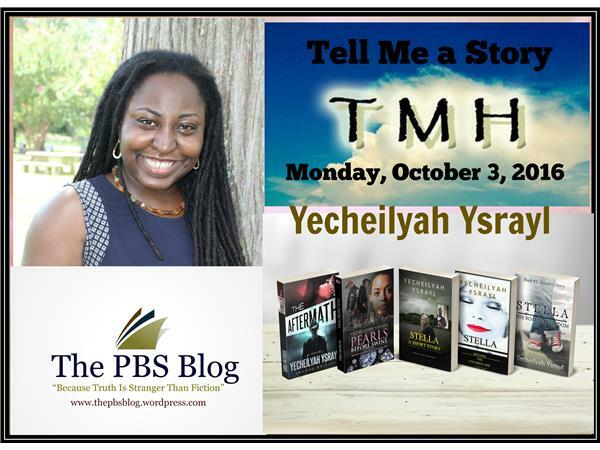 Yecheilyah is also the owner and founder of The PBS Blog http://www.thepbsblog.wordpress.com/ where she blogs on a variety of topics from black history to poetry, biblical analysis, inspirational quotes, and self-publishing tips. Let’s tune into The Magic Happens Radio Network today and see what the woman, affectionately known as EC, is up to these days.